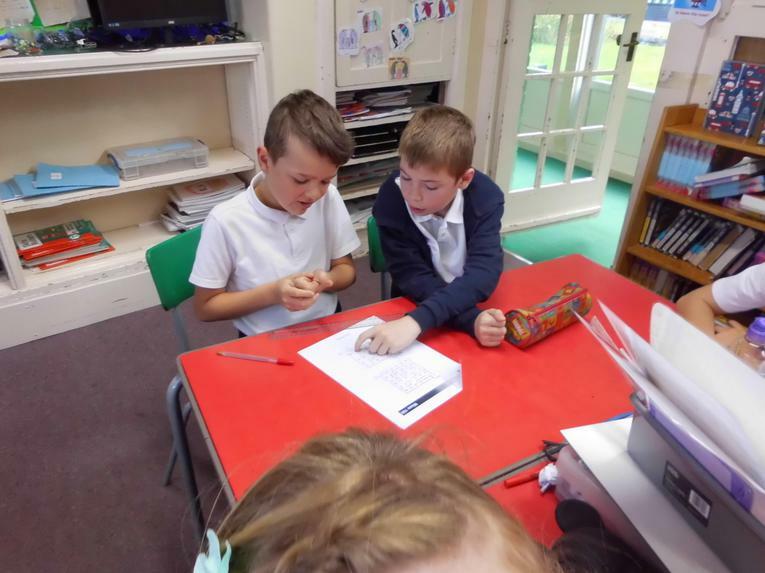 Welcome to our class page This page will include information about what we are doing in school and interesting updates. 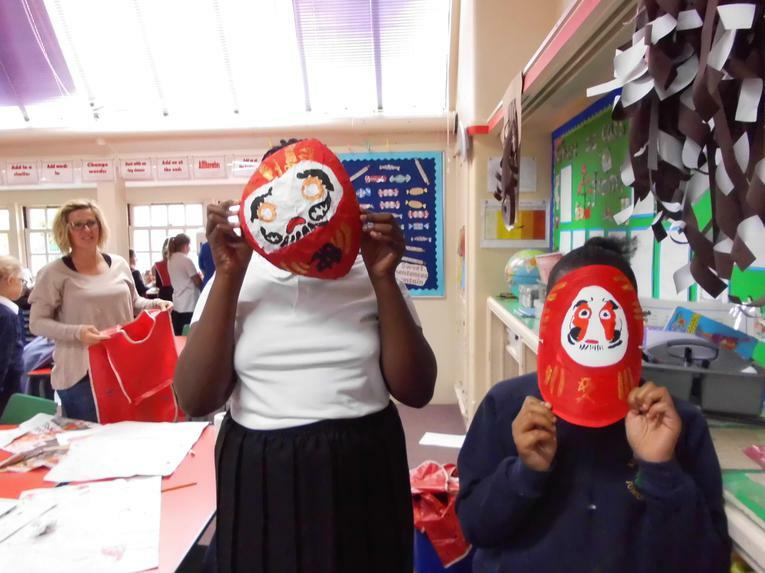 We will also share our latest work, photos and achievements. 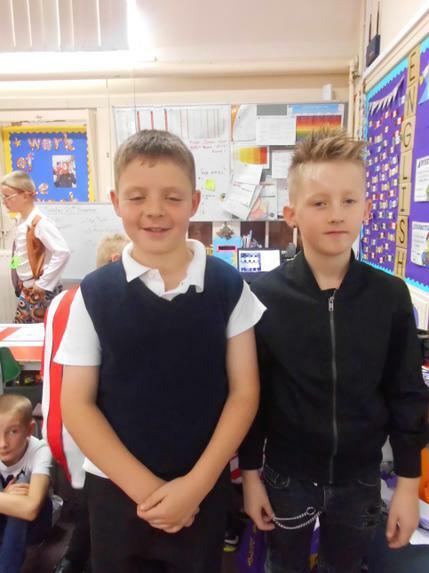 Our P.E days are Monday and Thursday so children should have a P.E kit with them on these days . 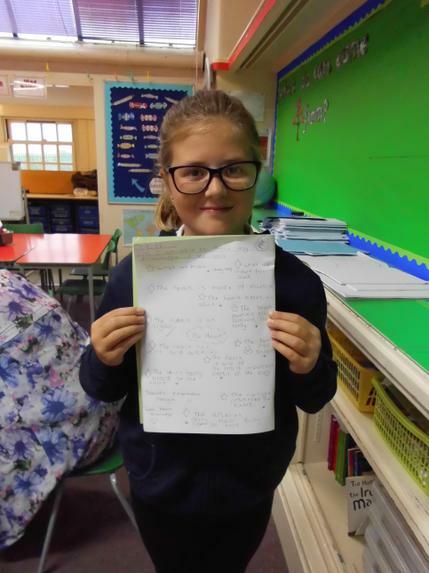 Homework will be handed out on a Friday to be handed back in on the following Wednesday. 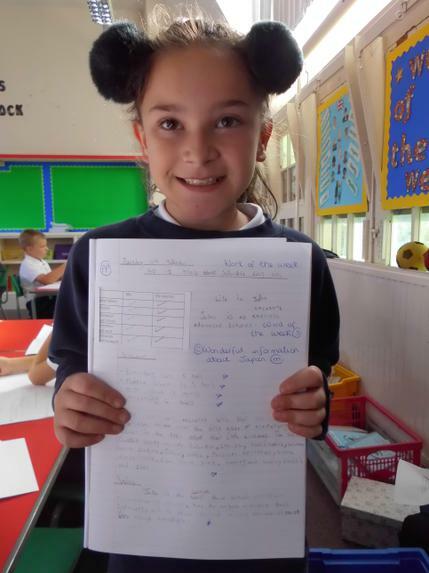 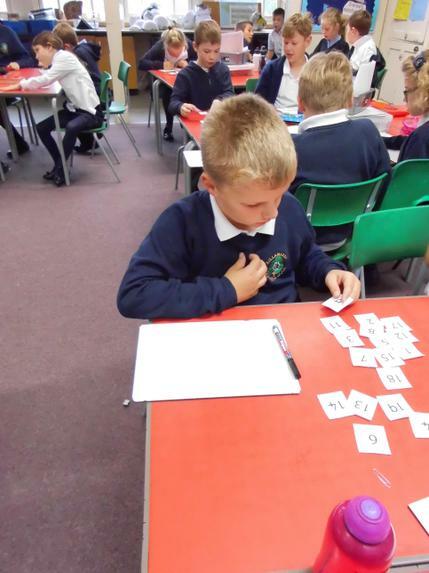 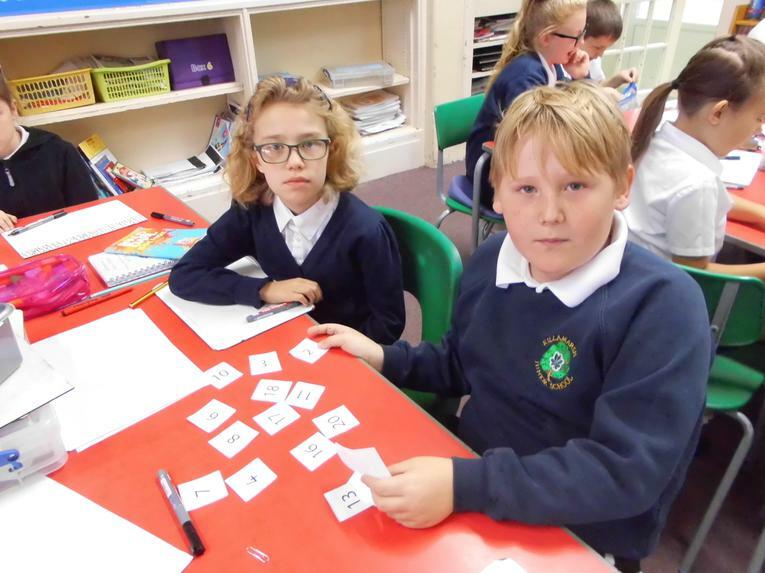 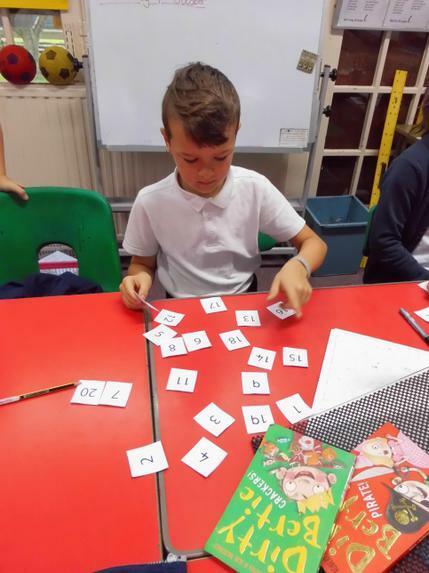 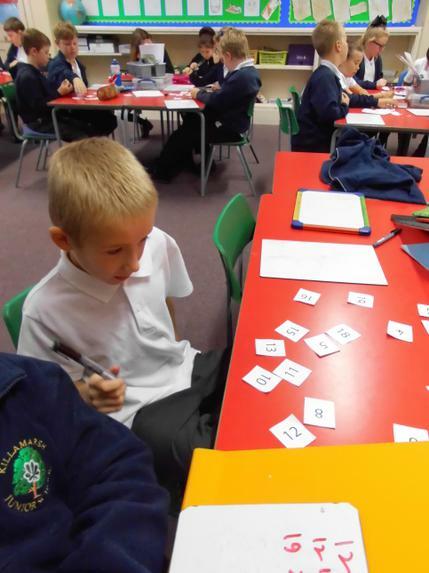 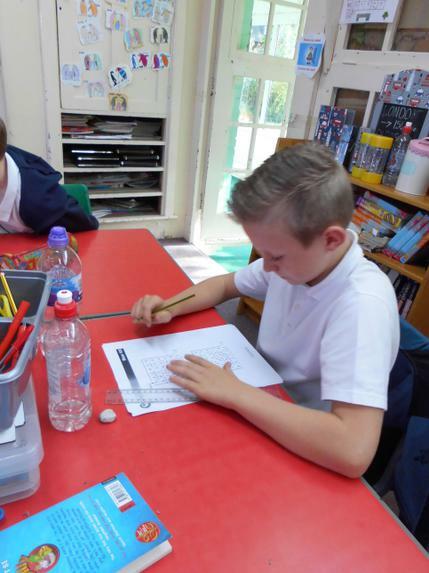 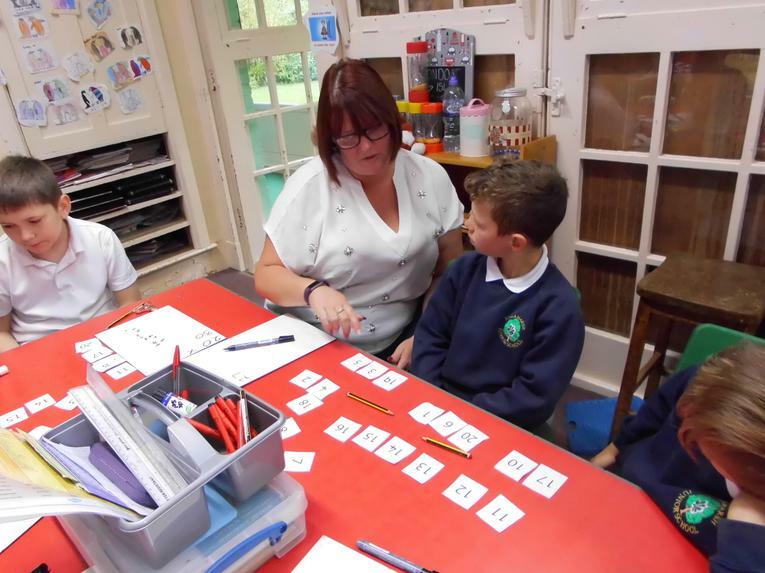 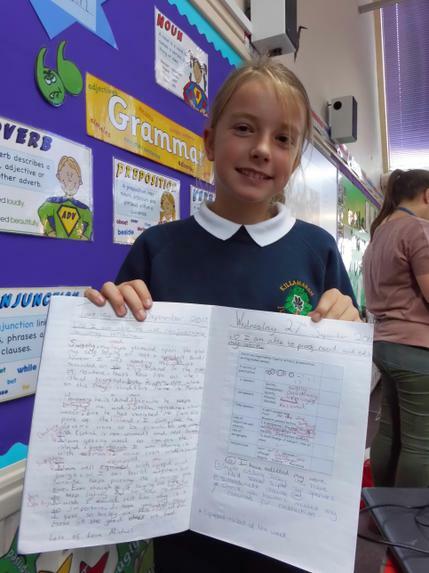 Children will have a spelling test on a Monday and then they will have a week to practise their new spellings. 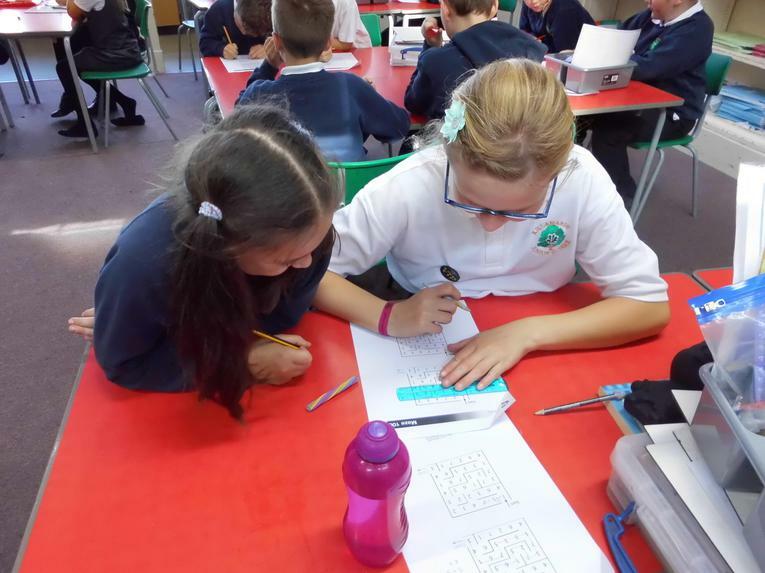 Your child has been given a username and password to access the Lumio Maths site. 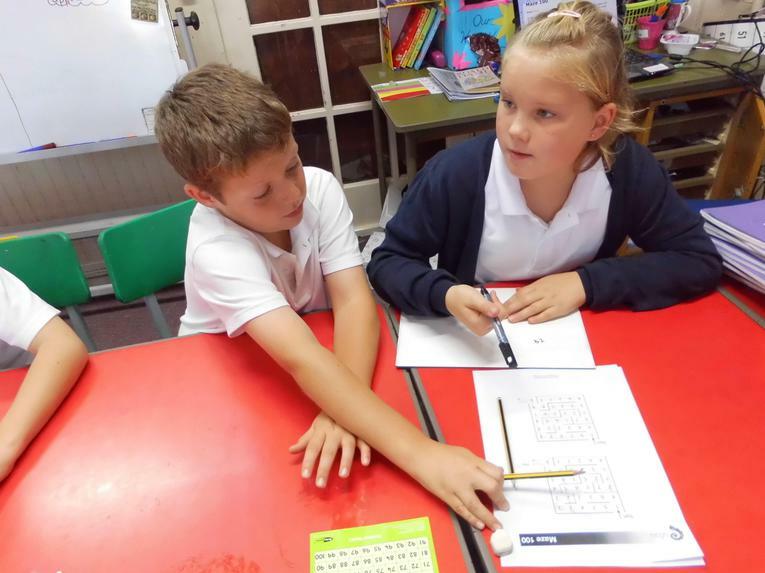 This website is great for practising a variety of Maths skills. 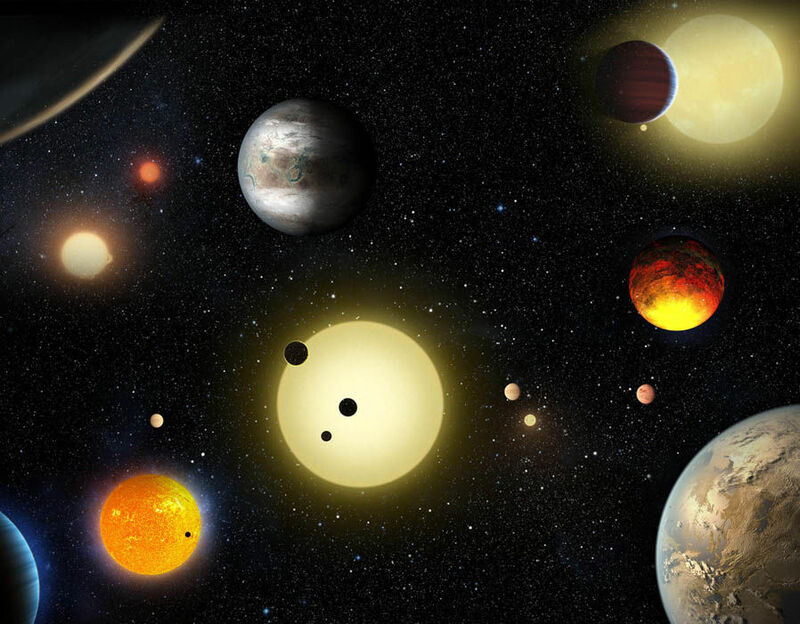 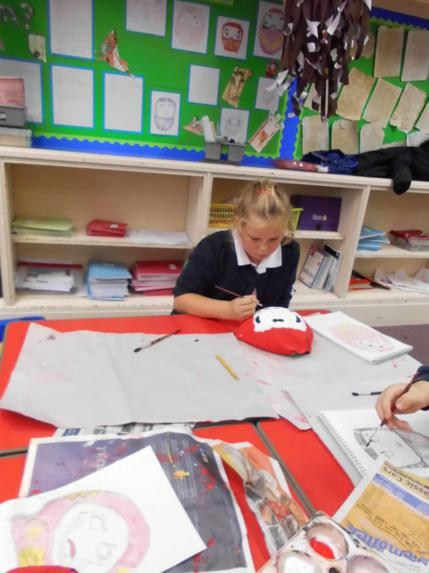 Our topic this term is "Space". 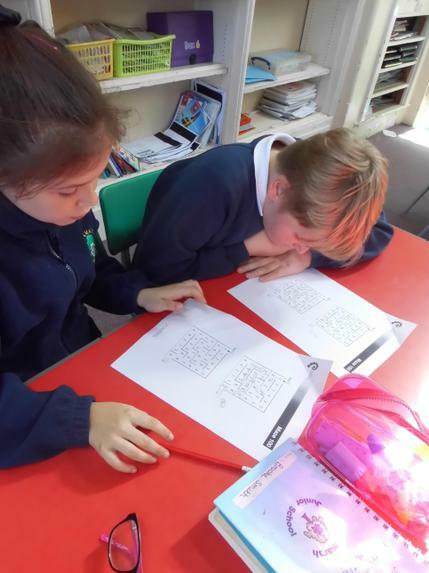 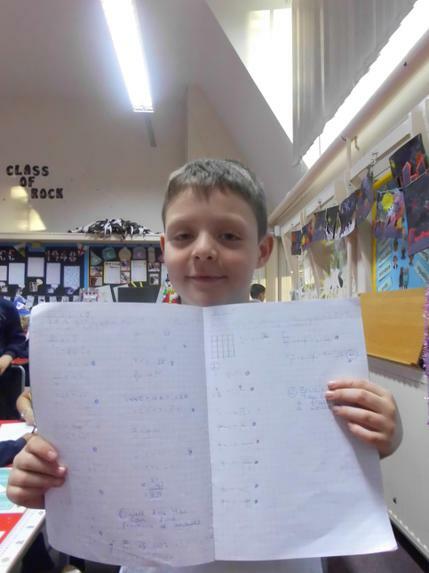 In English we wrote letters from Michael (The main character in our class book- Kensuke's kingdom). 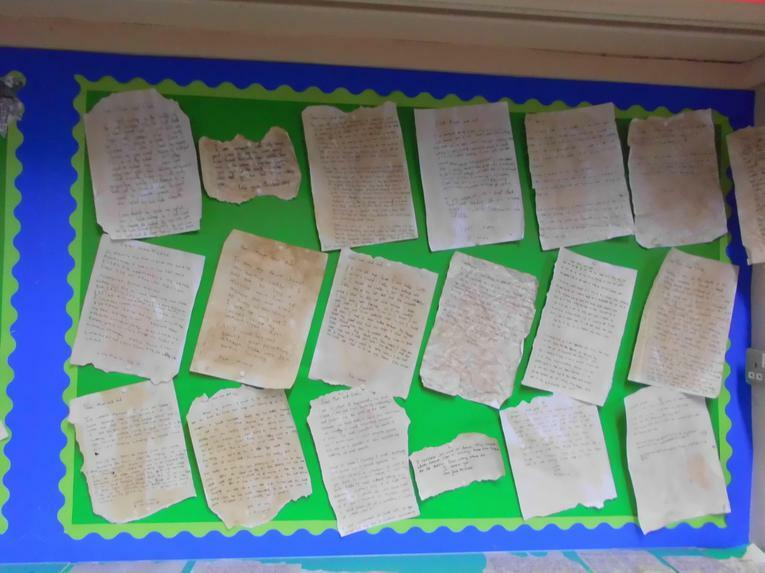 We wrote them on tea stained paper to look like they were written on an island. 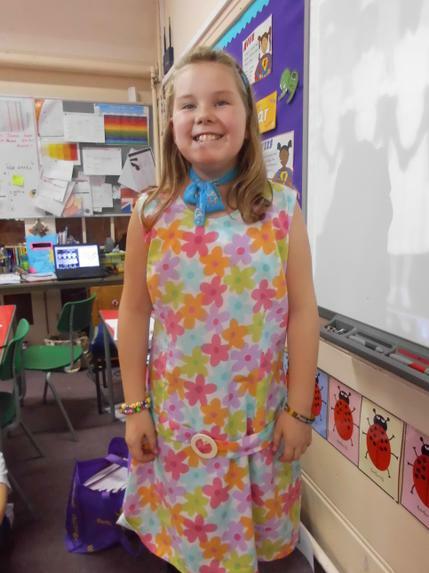 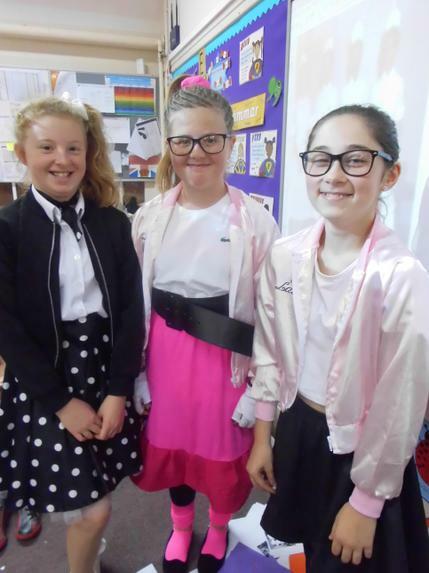 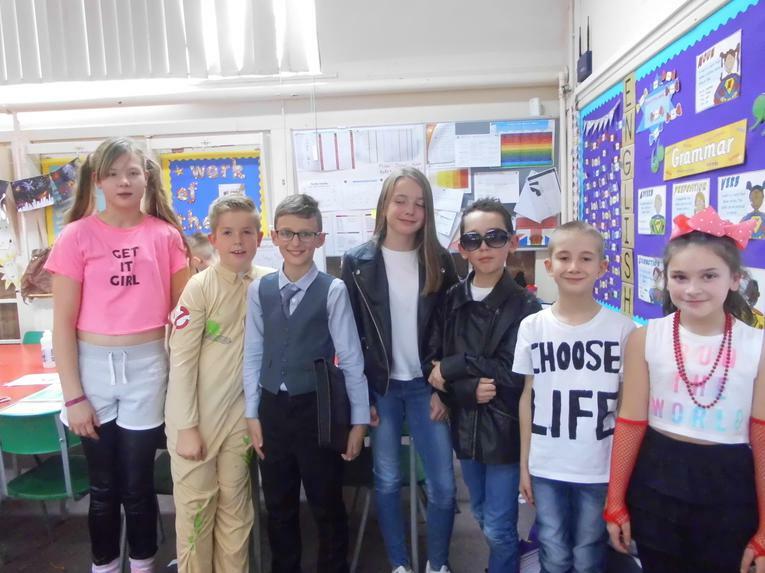 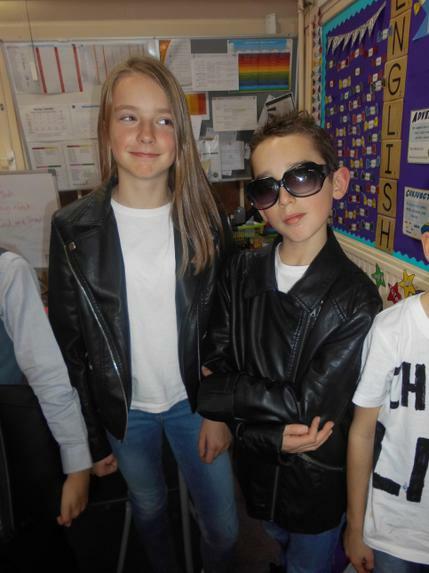 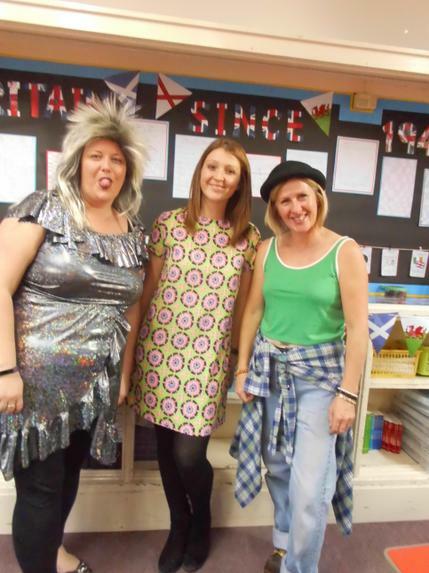 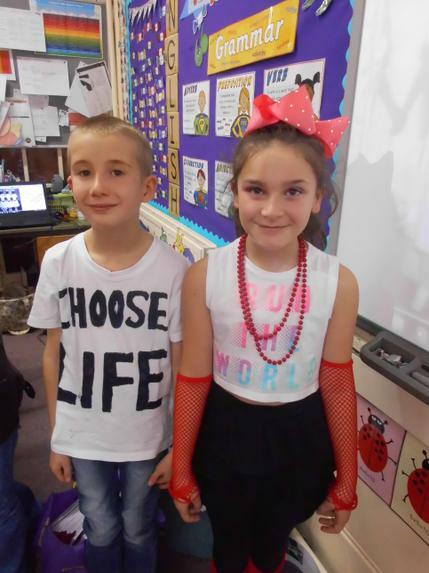 The children made a huge effort for our topic day. 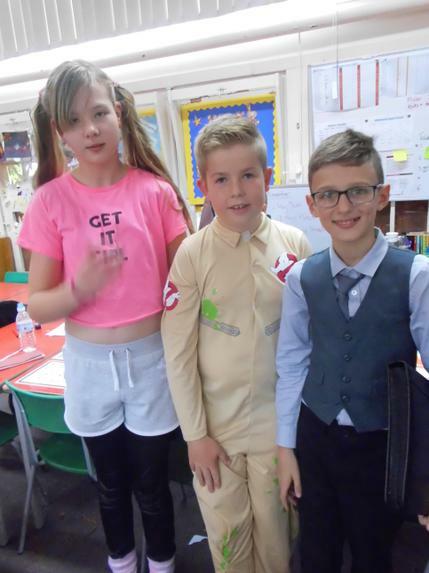 They dressed up from the different decades. 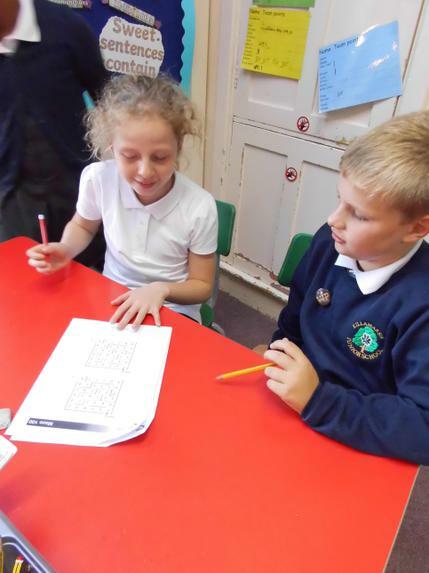 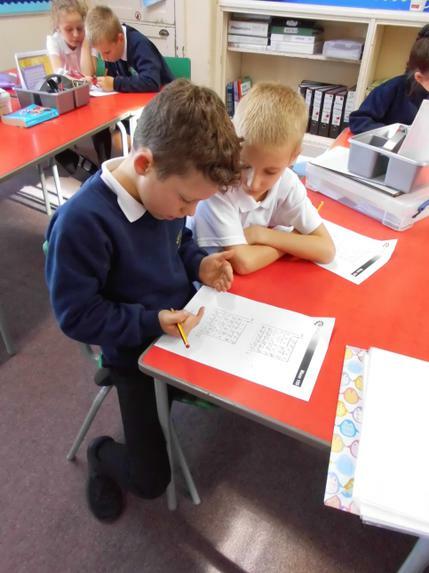 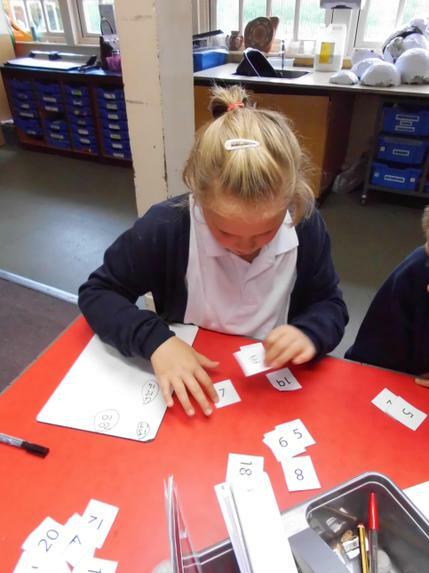 We solved some tricky maths problems. 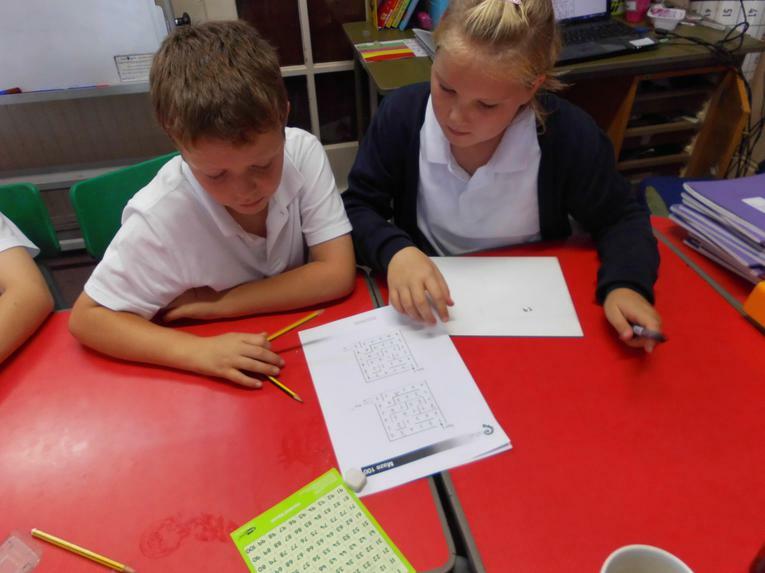 We worked in pairs and we had to be very resilient! 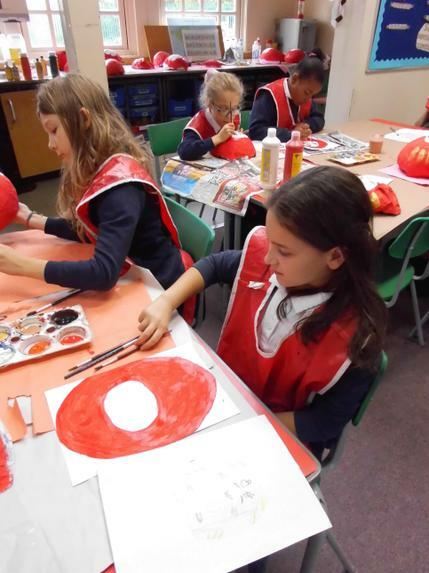 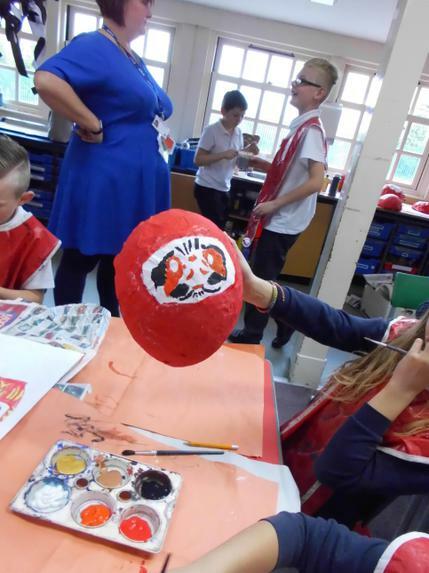 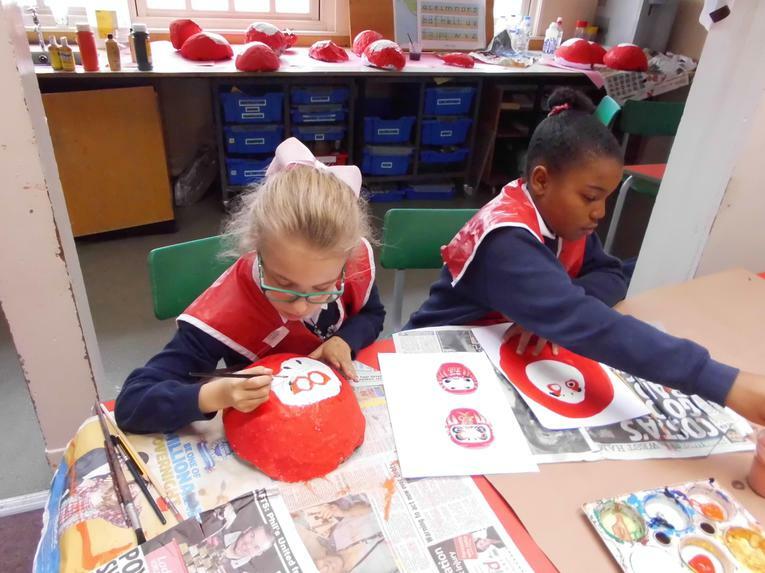 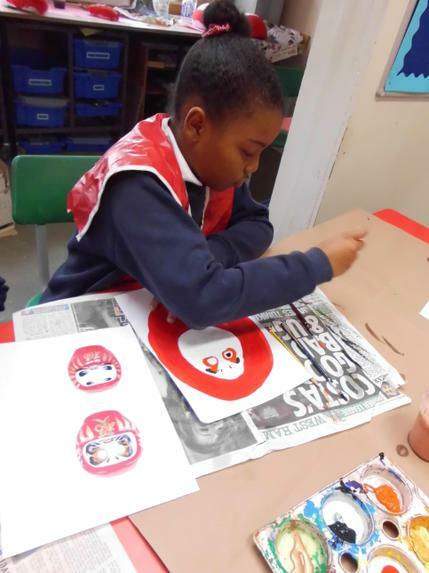 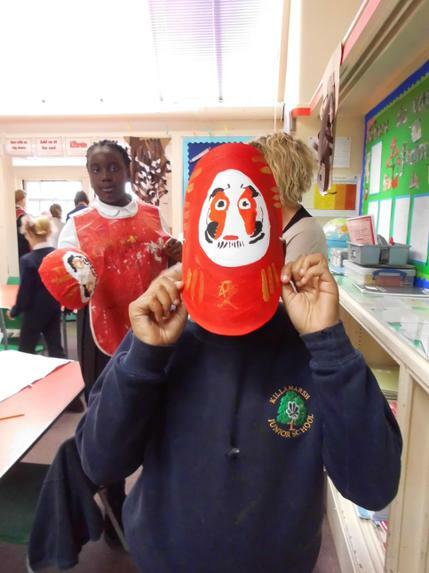 We designed, made and decorted our own Daruma masks. 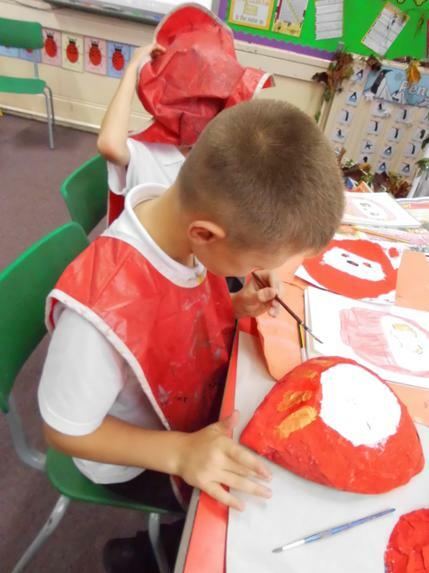 Here are some pictures of the children working hard and being creative.